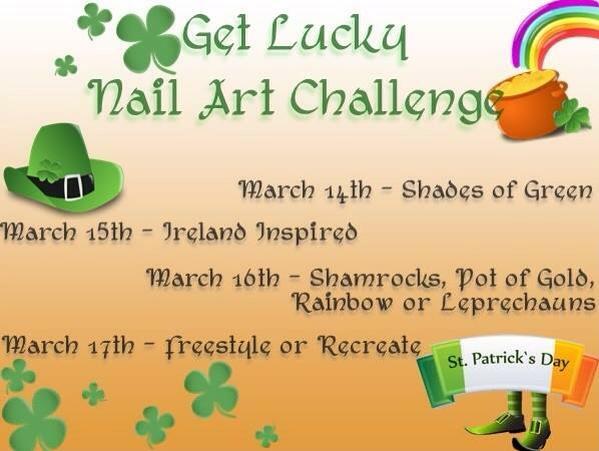 Get Lucky Nail Art Challenge: My St Patrick's Day Nail Fail! The last fill for the St Patrick's nail art challenge was a freestyle/recreate theme, and since I didn't have much time to put something together (and one of my nails broke before I was able to even start today) the design I'm showing you is actually a nail fail from my day 2 theme (Ireland inspired). I guess calling it a fail is a bit dramatic, but either way it's a mani I was unsatisfied with. As you can see it's supposed to be the flag made up of hand-placed hex glitter. It looked a bit wonky so towards the end I wasn't too careful with my placement, and as you can see I didn't cut glitters to finish the edges. 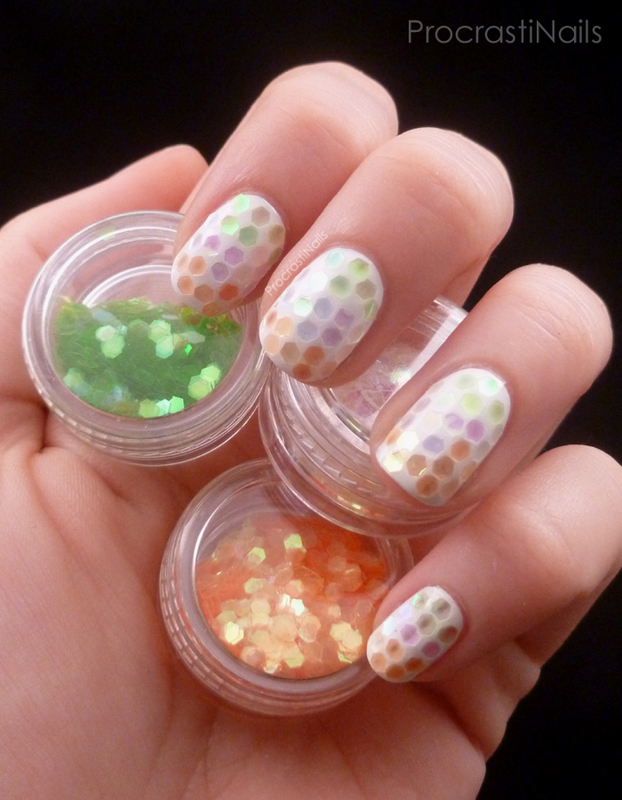 This was a mani that was never supposed to see the light of day, after all! Oh well. Desperate times and all that, right? My base for this design was Sinful Colors Snow Me White, and I used a layer or two of Julep Freedom Polymer Topcoat to adhere the glitter. The topcoat dried a bit quicker than I wanted it to but it was a good one to use because when I had to do another streak of topcoat along the side to finish placing the glitters it merged nicely into the topcoat that was already there and that had already dried. There's always a chance when you do that that the second layer of topcoat is going to dry with a distinct bump that separates it from the original layer of topcoat, but that wasn't an issue here. (Am I making sense?) 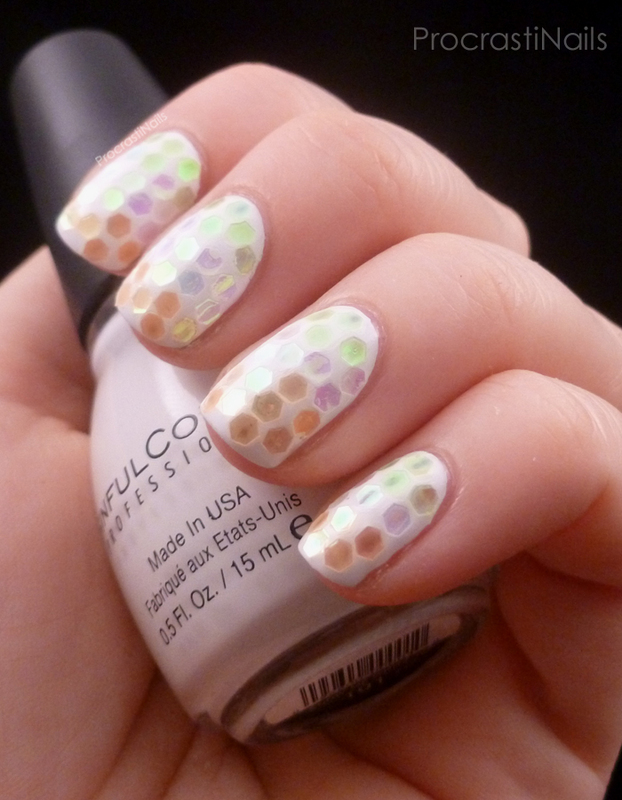 Basically: Julep topcoat is a good one to use for something like this, if you don't have a topcoat with a longer drying time. I wouldn't call it a fail at all, I actually really like it. The sunk in effect you didn't want to get really works with the colours. 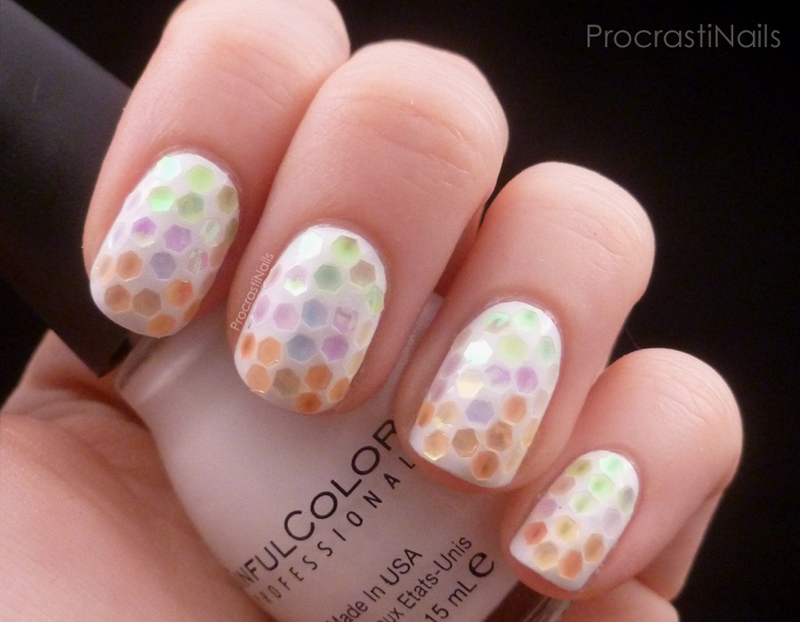 AHHHH you have so much patience to do this! Great placement, and brilliant idea! !